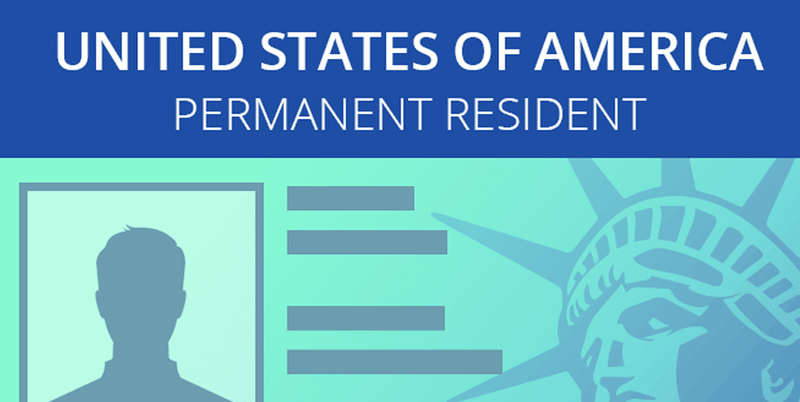 Green card (officially known as “Permanent Resident Card) authorizes the non-U.S. citizens to get permanent residency in the United States. People from outside the US wanting a green card allows them to lawfully live and work in any part of the United States qualifying for a U.S. citizenship after 3 or 5 years. Almost every year, the government of United States issues millions green cards. Mostly, given to the family members of United States citizens holding green card holder, the process is then followed by workers from different countries willing to seek employment in the US which is also the next big group of recipients. There are different classifications of green cards. This article will guide you to provide an overview of all the types and what category is applicable to a specific individual. An Expert immigrant lawyer can help the spouses of U.S. citizens currently holding a green card with the marriage-based green card applications. He turns all the needed government documents, while undertaking all the complex procedure. How to check your availability for immigration services? Any Close relative of a U.S. citizen, currently holding a green card are eligible to apply for a family-based green card. The Eligible family members can be children, spouses, siblings and parents (along with the spouses and their children, any siblings, and adult children). Widow and a widower are Also included in this category, married to a U.S. citizen at time, when the citizen died. For instance, spouse of a living U.S. citizen and green card holder may apply for marriage-based green card, whereas a widow or widowers need to prove that the marriage was true for receiving a green card. Talking of the extended family members — like aunts, cousins, uncles, grandparents — do not qualify for such application. They can only apply for green card if they have any close relative, who is a citizen of United States and holds a green card currently. Platforms like ilexlaw helps in obtaining a marriage-based green card, making it easy for the completion of green card application, while avoiding the common problems. Under this employment-based green card category, there are multiple subdivisions of employment workers to apply for a permanent residence. In certain cases, the spouse and children are also qualified to apply for a green card. People who have fear or experienced persecution in their homeland — because of race, nationality, religion, political views, or a membership in a certain social group — can apply for a visa in the US from abroad (to enter as refugees) or within the States as asylees. After living in the US for at least 1 year after receiving the refugee status, the individual can apply for green card. Any Children and spouse of these asylees and refugees may also look for protection in the US under such programs to ultimately apply for green card. A Victim of domestic violence can apply for green card, to strive for relief through VAWA (the Violence Against Women Act). This law was initially created to help women, when it also applies to both males and females, who have a victim of abuse. Under the United States “green card lottery” (also known as “Diversity Visa Lottery Program”), the government of United States randomly picks up to 50,000 people from numerous entries it receives from 6 geographic regions, like, Asia, Africa and Oceania, every year. People from different countries who’ve had little immigration to the US in the past — including, Algeria, Slovakia, and Lebanon— can enter this lottery. The government of United States issues various other types of green cards along with the usual ones. these include green card for any special immigrant,” including a media professional, or any religious worker, any Afghanistan and Iraqi national who has served the government of United States under several capacities, or any worker who previously served in international organization. This also includes green card for a Cuban citizen and American Indian, who was born in Canada. USCIS offers a complete list of all these green card categories and its eligibility requirements. If you are planning to apply for green card, Ilexlaw can help. Previous Post How to apply for a Green Card?